Every year Troop 101 helps out the Marine Corps League with their Toys for Tots program. This program provides amazing gifts (mostly toys) for children in families in need in our area. If you haven’t done this before I highly recommend it. Anyone that participates should notify the Advancement Chair with the date and number of service hours. 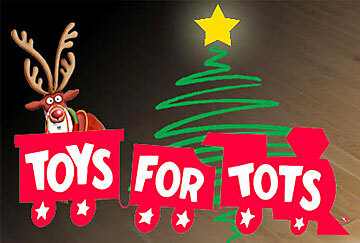 We can help by sorting toys into categories by age and gender, and then preparing bags for families requesting aid. After preparation, there are usually 2 or more days of handing out bags of gifts to families. The toy sort is scheduled for Saturday, Dec 20. Once the sort is done, bagging will begin and continue until it is done. The work will start at 9am and will continue until around 3pm. You do not need to show up at 9am, any time you can show up would be appreciated. Scouts should wear their Class A Uniform. The location is the same as last year, a vacant store in the strip mall on the corner of Fones Rd and Pacific (across from Albertsons). It is the store in the inside corner, near Ross (Sizzler was on the corner). Girl Scouts or other friends who would like to help are welcome too. We don’t do this as a Troop event, meaning that the Troop doesn’t provide supervision for all the Scouts. But if Adults can’t stick around, ask any of us there and we would gladly be a point of contact for Scouts as long as we’re there. These distribution days will be for Sunday Dec 21st from 9:00am – 6:00pm, Monday Dec 22nd from 9:00am – 6:00pm, and Tuesday Dec 23rd from 9:00am – 6:00pm. They can always use a few scouts to helpout then..